After the 1959 Cuban revolution, Fernando Torre’s family left the island for Madrid, Spain, where he spent most of his childhood. The Torre family eventually settled in Puerto Rico, however, closer to home. Torre completed high school in PR and went on to attend the University of Puerto Rico, where he studied engineering—and also met his wife. Today, Torre is the chief operations officer for global contact lens manufacturer CooperVision, having had an international upbringing that shaped the course of his career. Upon completion of his undergraduate degree, Torre began working with Bell Laboratories, the research and development organization of the old Ma Bell. The company made it possible for Torre to complete a master’s degree in electrical engineering at Cornell University. He went on to spend eight years with the telecommunications monolith, working in research and development. Torre loved working with state-of-the-art technology at Bell Labs, but exposure to the manufacturing arm of the company sparked an interest he wanted to further pursue. When a job in manufacturing with Motorola opened up in Florida, closer to his family, he jumped at it. Torre worked for Motorola in different roles and different locations around the world, of increased responsibility. His last position with the company was as director of operations for the European paging division based in Dublin, Ireland. In 2001, Torre was recruited by Ocular Sciences, which was soon thereafter acquired by CooperVision. Since then, Torre has built a leadership-level career with CooperVision, now overseeing all manufacturing operations, supply chain, distribution, and regulatory affairs around the world. It is hard to imagine a more delicate device than a contact lens, a 14 mm disc of transparent material that floats on the surface of the cornea. And each lens’s vision correction properties must correspond exactly to the vision deficiency of the wearer. That delicacy brings into relief the precision of the company’s manufacturing operations. And Torre is responsible for it. 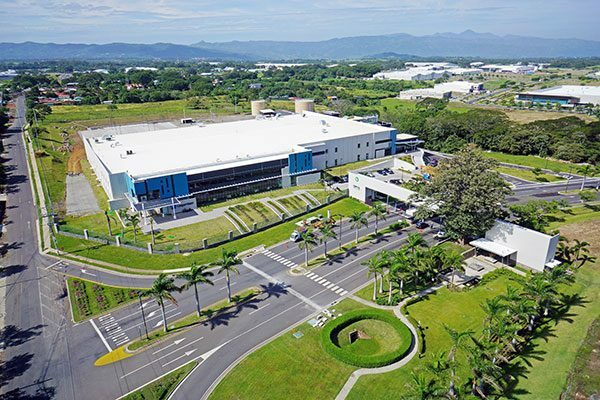 CooperVision has manufacturing facilities in England, Hungary, Puerto Rico, and New York, and another one just opened in Costa Rica. These facilities, ranging from 450 to 2,000 employees, are in production twenty-four hours a day, seven days a week. Torre says that having multiple facilities is, in part, a risk-management strategy, but it also has to do with efficiency. When scouting out a new location for manufacturing operations, Torre says that one of the main prerequisites for consideration is the availability of a skilled workforce. Most of the employees in each facility are scouted from local talent. The factories churn ceaselessly, both to meet demand for the product and to fulfill the investment the company has made in the manufacturing lines; if they sit idle, that’s money lost. Additionally, constantly shutting down and restarting operations leads to a decline in performance, he says. Outside of the international presence of its production facilities, CooperVision also has a distribution and sales presence that spans the globe. The major markets for contact lenses are North America, Japan, and Western Europe, but Torre says that the company has placed a lot of emphasis on expanding beyond those traditional markets. In the past ten years, they have invested in other Asian countries besides Japan, such as Korea, Taiwan, and mainland China; they also now have a presence in Russia, Turkey, and Latin America. CooperVision is number one in market share in South Africa. All in all, CooperVision products are sold in over one hundred countries. Costa Rica, Torre says that the company has no immediate plans for further expansion. His current focus is on improving production at the existing facilities, as well as making sure that the R&D pipeline is always filled.